Kaidu and Rat have only just recovered from the assassination attempt on the General of All Blades when more chaos breaks loose in the Nameless City: deep conflicts within the Dao nation are making it impossible to find a political solution for the disputed territory of the City itself. To complicate things further, Kaidu is fairly certain he’s stumbled on a formula for the lost weapon of the mysterious founders of the City. . . . But sharing it with the Dao military would be a complete betrayal of his friendship with Rat. 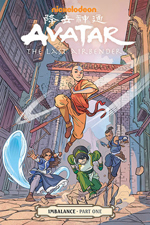 Can Kai find the right solution before the Dao find themselves at war? 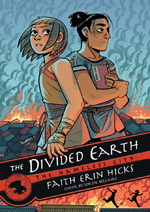 Book 3 of The Nameless City Trilogy, The Divided Earth will be out in September, 2018! Every nation that invades the City gives it a new name. But before long, new invaders arrive and the City changes hands once again. The natives don’t let themselves get caught up in the unending wars. 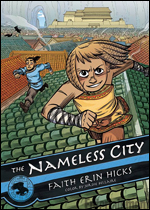 To them, their home is the Nameless City, and those who try to name it are forever outsiders. Kaidu is one such outsider. He’s a Dao born and bred–a member of the latest occupying nation. Rat is a native of the Nameless City. 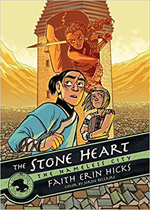 At first, she hates Kai for everything he stands for, but his love of his new home may be the one thing that can bring these two unlikely friends together. Let’s hope so, because the fate of the Nameless City rests in their hands. 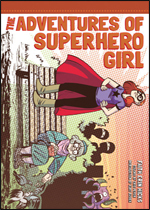 This is an updated version of the old Superhero Girl collection, which includes 3 new stories as well as artwork by awesome guest artists! 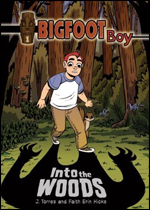 This conclusion to the Bigfoot Boy graphic novel trilogy adds a backdrop of Pacific Northwest mythology to the popular story about an ordinary boy who becomes a hero through the power of magic. 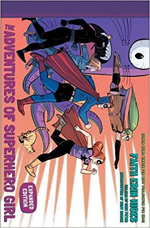 As the book begins, Rufus, Penny and their squirrel friend, Sidney, are eager to recapture the magic totem they lost to the ravens in the previous book. But how? Nineteen years ago, a parasitic fungal outbreak killed the majority of the world’s population, forcing survivors into a handful of quarantine zones. 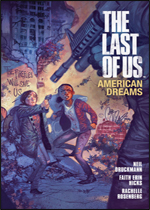 Thirteen-year-old Ellie has grown up in this violent, post pandemic world, and her disrespect for the military authority running her boarding school earns her new enemies, a new friend in fellow rebel Riley, and her first trip into the outside world, where she is confronted with a dangerous insurgent group – and with the monstrous victims of infection! Another weekend at Grammy’s, another weekend of Rufus using his magic totem to transform himself into Bigfoot Boy! But when you’re big, hairy and loud, it’s hard to keep your powers a secret, especially when there are trickster ravens that want the magic for themselves. 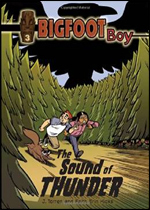 You won’t want to miss this second rrrawesome adventure of Bigfoot Boy and his friends! 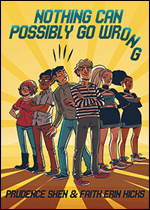 Being homeschooled and raised with three brothers had its problems, but Maggie’s life is about to get a lot more complicated as she faces her greatest trial yet – entering public school for the first time! 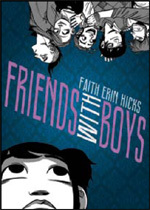 Currently Friends With Boys is being serialized online for FREE, so please check it out. 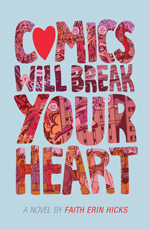 Friends With Boys will be published by First Second in February 2012. Story by Susan Kim & Laurence Klavan. 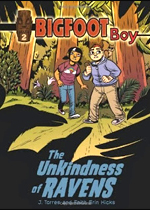 Sent to a special camp that promises to produce gifted children, Jenna and Lucas stumble upon a mystery that threatens so much more than their parents’ approval! 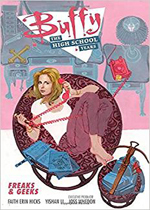 Juniper is the newest scholarship student at prestigious Ellsmere Academy, where she experiences a year of friendship, intrigue and danger. Three university students have to fight an undead hoarde of zombies using the Rules of Zombies Movies as their only weapon.